Perhaps it’s a good thing, Easter coming so early this year. After a particularly cold winter, God’s ultimate sign of new life carries more promise than will any spring flowers. Poets sometimes refer to the “cold of death” — a chill that our Lord Jesus endured because of His great love for both His Father and for fallen mankind. The cold winter we leave behind pales in comparison to the cold of an eternity in the grave, just as the most blazing summer is nothing compared to an eternity in the fires of hell. Thank God that we need experience neither of these endless experiences. 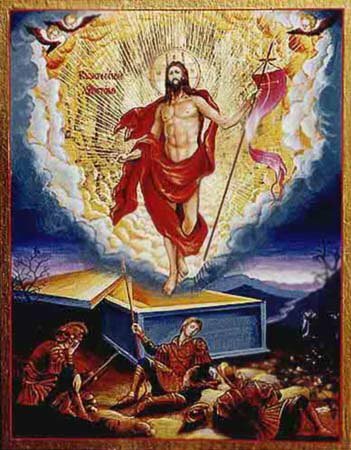 While each of us may join the ranks of people already resting in graves and other burial places, we are absolutely certain that on the Last Day, Jesus will call us forth to eternal life, just as His Father called Him forth on the Third Day of His entombment. As this newsletter is posted, Lent is about half over. Yet as it is posted, we have no idea how “over” our own lives might be. Do we still have half of our lives yet to live? Or could it be only half a year or even half a day? We don’t know, therefore God calls us to be always prepared, trusting in His Son, repenting of our sins, and receiving the fullness of forgiveness that He offers in Word and Sacrament. God grant you an Easter filled with Gospel, Communion, and celebratory songs. May Christ’s forgiving words lead you to anticipate His welcoming words at world’s end. May the rich food of His Supper prepare you to dine eternally at the marriage feast of the Lamb in His kingdom. And may the music you hear and the songs you sing increase your desire to hear the heavenly chorus forevermore.